Having set up and managed Google Adwords campaigns for a number of dentists, it is apparent that this is a sector for which Adwords can be a very effective way to generate new business. PPC for professional services often works well as there is usually an immediate need when the potential client searches for a dentist or a physiotherapist, etc. These are not the sort of searches that lend themselves to idle browsing or window shopping, especially if the search is something like ‘emergency dentist’. 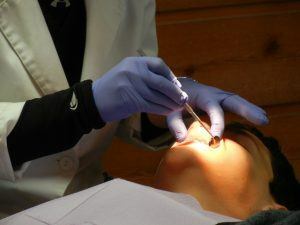 Many established dentists websites will already have some natural visibility if they have invested in SEO, but there will always be gaps that PPC can fill (no pun intended). Many dental practices offer a wide range of services, from invisible braces, to teeth whitening, new crowns, dental implants and more. So the number of potential search phrase variations can be significant and achieving SEO success for all of them unlikely. Especially when some searchers will not specify a location in their search. Whilst a dentist’s website may appear in search results for ‘dental practice Wimbledon’ it is perhaps unlikely to appear for ‘dentist near me’ or ‘invisible braces’ which may never be realistic SEO targets. But many people will search without specifying a location. The one way to ensure your business appears for such searches, but only to people making them within your target area, is to use Google Adwords. Another reason Adwords works so well for dentists is its flexibility. Capacity is obviously limited according to the number of dentists in the practice and there is little point is spending budget on generating new patients if you can’t fit any more in for the next month. Perhaps there is space but you want to maximise potential income and decide to pause campaigns for whitening and focus instead on invisible braces, or dental implants. Adwords as with any other form digital marketing needs to pay for itself and in this respect also, dentists are at an advantage, as the average new patient can not only be of sufficient value to justify the cost of acquisition, they will often be a source of recurring revenue. Geographical targeting is also more in your control with PPC campaigns and this can be very important as the realistic catchment area for a dental practice can vary significantly according to location. In a rural area the effective catchment area could be a 25 mile radius of the practice. If it were in west London the same radius would be ridiculous and potentially a massive waste of budget. Because there is a relatively small target area for each dental practice, we are able to work for most dentists as a practice in Plymouth is not competing with one in Twickenham. We will however not work for multiple clients in the same target areas, to ensure we provide the best possible service for our clients.